Over the course of his nearly 40-year career, Ed has conducted more than 100 jury and non-jury trials, arbitrations, mediations, and appeals. 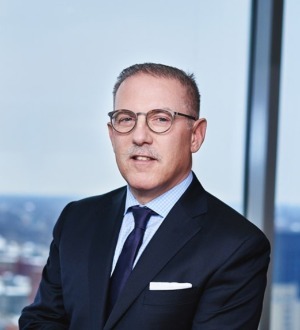 He represents businesses in civil litigation matters including contracts, products, construction, employment, trademarks, negligence, and insurance, and has handled matters in Pennsylvania, New Jersey, and several other states throughout the country. His cases have involved alleged defects in consumer and industrial products, construction errors and delays, trademark infringement, fraud, commercial lease breaches, employment discrimination, insurance bad faith, insurance claims mishandling, retrospective premium overcharges, and negligence in hotels, bars, restaurants, schools, pharmacies, and retail stores. Ed serves as a judge pro tempore conducting mediations in the Dispute Resolution Center of the Court of Common Pleas of Philadelphia County and as an arbitrator for the United States District Court for the Eastern District of Pennsylvania. When he is not working, Ed enjoys motorcycle touring, downhill skiing, and cycling.